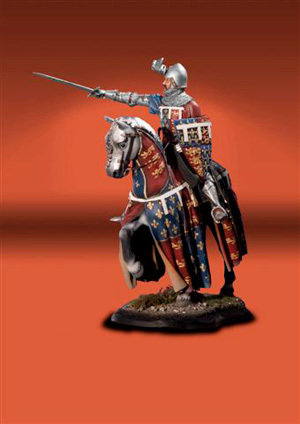 The model features embossed heraldry to make it easier for the painter but this does not distract the overall finish of the model. As can be seen, the model is extremely colourful. It was sculpted by the world famous sculptor, Peter Twist, and is one of his best works.